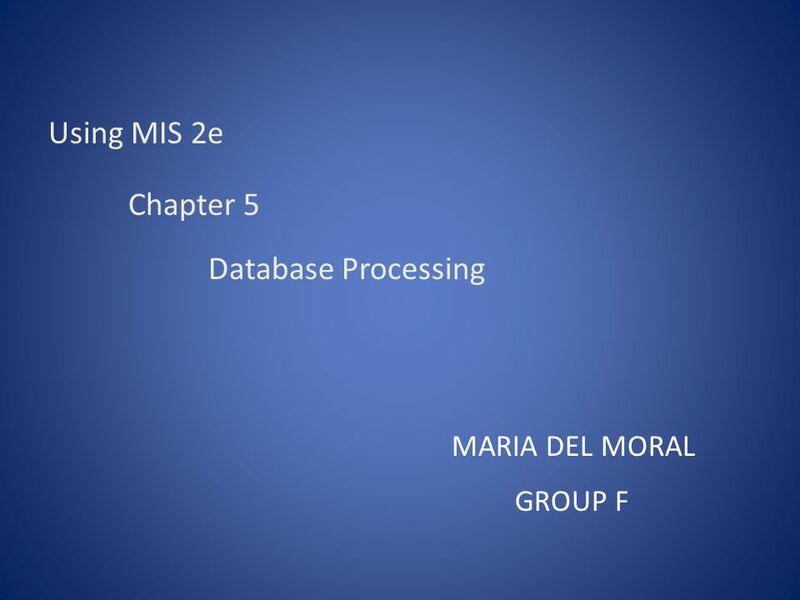 Using MIS 2e Chapter 5 Database Processing MARIA DEL MORAL GROUP F.
4 Q4 – How do database applications make databases more useful?  A query form helps the user quickly find answers to questions. 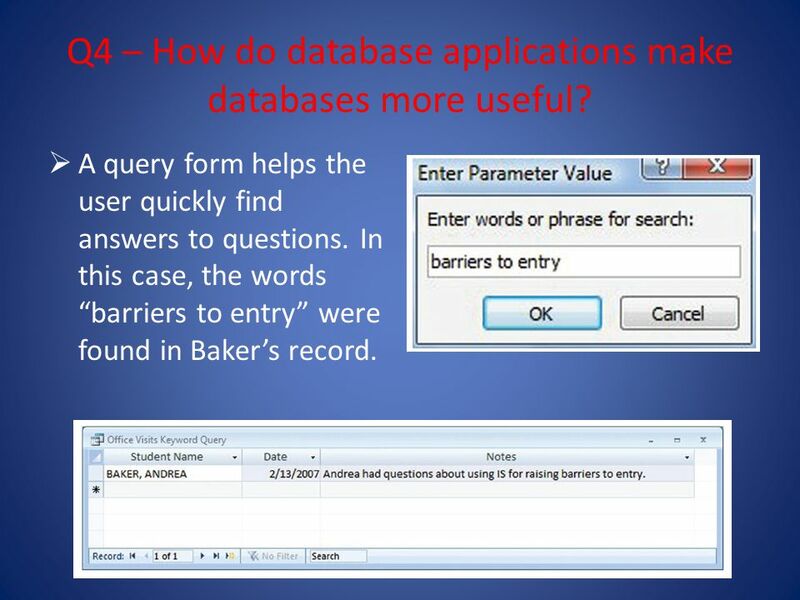 In this case, the words “barriers to entry” were found in Baker’s record. Download ppt "Using MIS 2e Chapter 5 Database Processing MARIA DEL MORAL GROUP F."
Moores Law Co-founder of Intel The number of transistors per square inch on an integrated chip [speed of computing] doubles every 18 months. Accurate for. Chapter 4 Database Processing. Agenda Purpose of Database Terminology Components of Database System Multi-user Processing Database Design Entity-relationship. 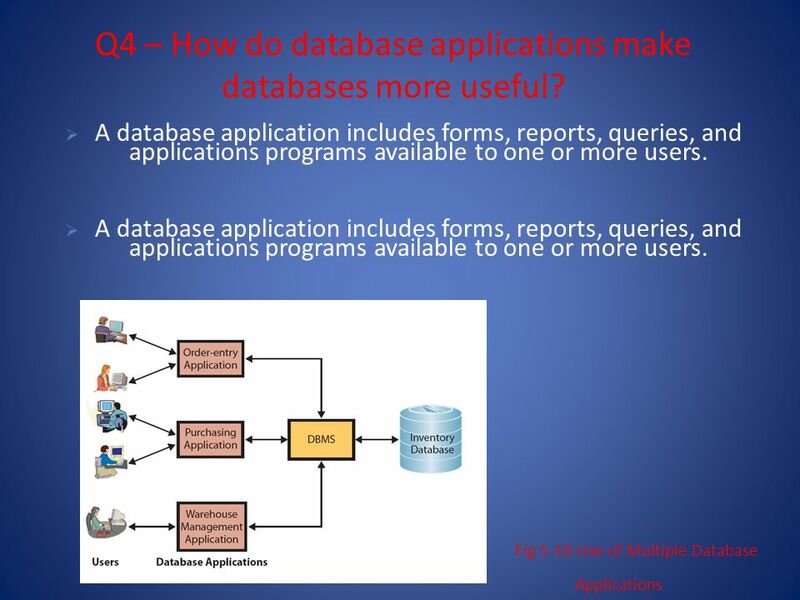 Q1 – What is the purpose of a database? Justin Bornstein Group 2. Data Modeling and Database Design Chapter 1: Database Systems: Architecture and Components. 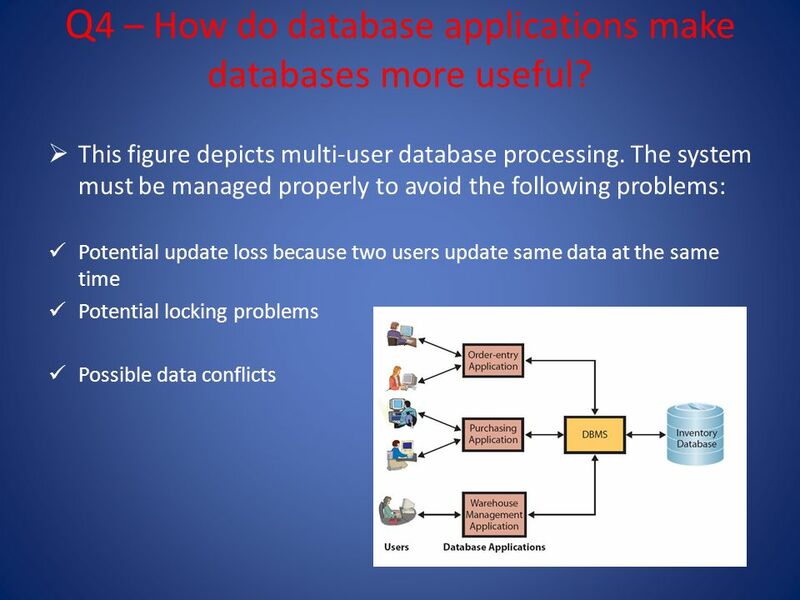 Database Processing: Fundamentals, Design and Implementation, 9/e by David M. KroenkeChapter 1/1 Copyright © 2004 Please……. No Food Or Drink in the class. Management Information Systems Database Processing Chapter 5. Databases. Database Information is not useful if not organized In database, data are organized in a way that people find meaningful and useful. Database. 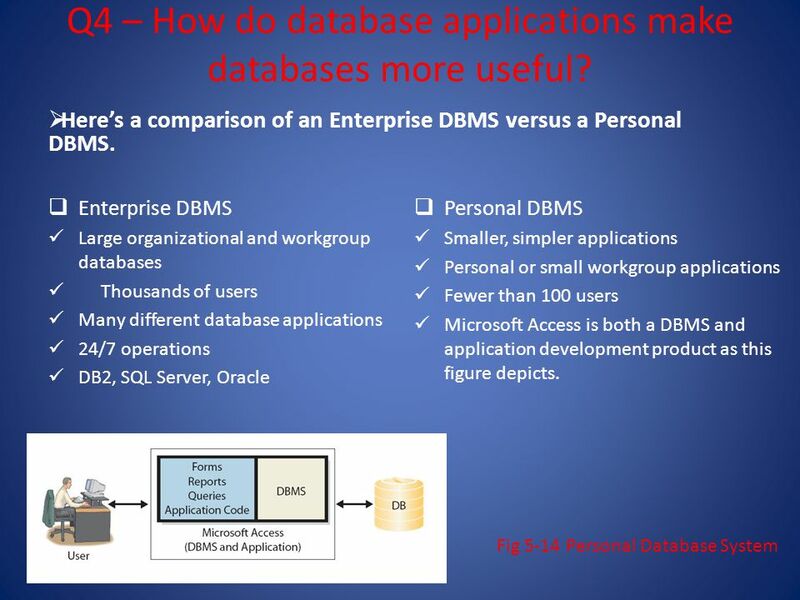 1 A GUIDE TO ORACLE8 CHAPTER 1: Introduction to Client/Server Databases 1. 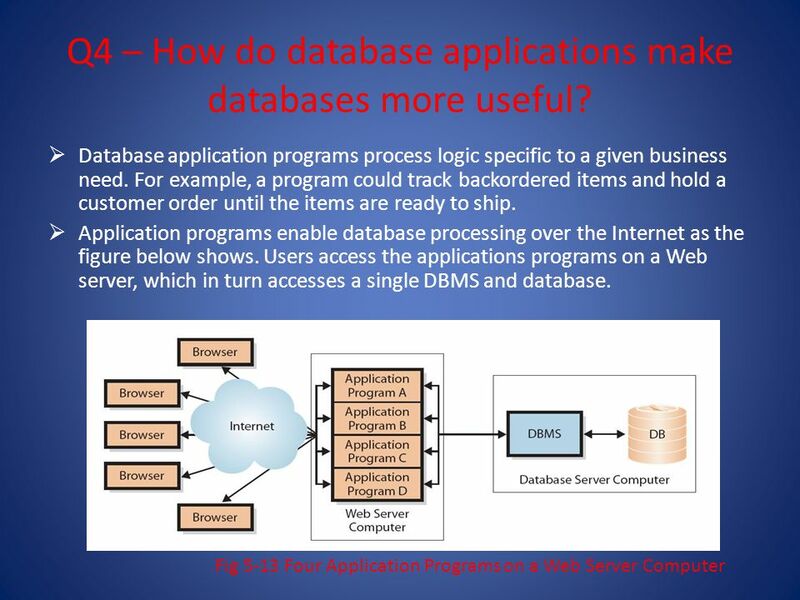 CSCI 260 Database Applications Chapter 1 – Getting Started. 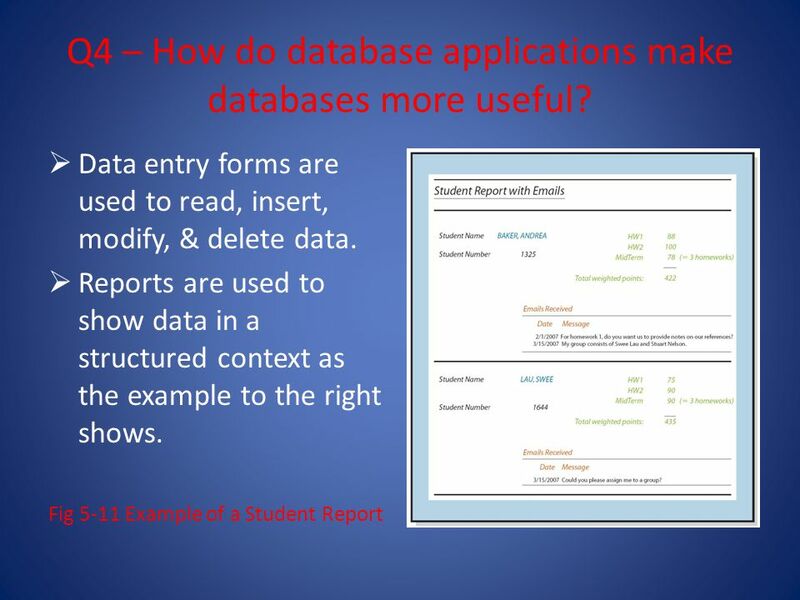 CSCI 150 Database Applications Chapter 1 – Getting Started. Getting Started (Excerpts) Chapter One DAVID M. KROENKE’S DATABASE CONCEPTS, 2 nd Edition. Fundamentals, Design, and Implementation, 9/e Chapter 1 Introduction to Database Processing.